The Marshmallow Man is a vinyl bank! He's the break-out star of the Ghostbusters movie. Make sure your savings are Stay Puft safe! That's right, the Stay Puft Marshmallow Man is back for more in the form of this 11-inch tall vinyl bank that features the break-out star of the Ghostbusters movie franchise. Protect your spare change inside one of the most innocent-looking (yet destructive) other-worldly apparitions ever to capture our imaginations. 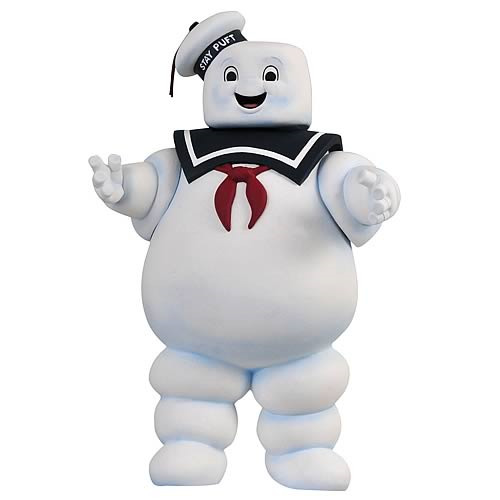 And remember, Stay Puft out there! Ages 8 and up.